Alliance rewards your responsible choices with auto insurance that could help you save hundreds of dollars a year. If you are looking for outstanding service and competitive rates, we are the right choice for you. We go the extra mile to help you save money, with customized policies through our trusted partners. 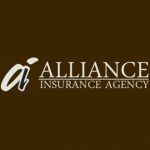 Alliance Insurance Agency is the #1 Mankato auto insurance agency in the area. Give us a call today for your personalized insurance quote, and we’ll find the right package for you.